McMaster may still be looking for their first elusive national championship title, but they can rest easy knowing their work as a top volleyball program is not going uncredited. 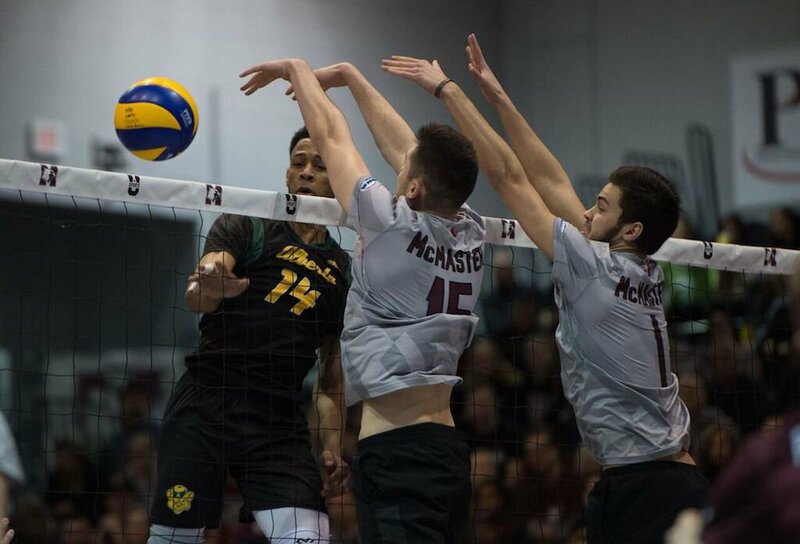 The Marauders earned their sixth straight medal, sweeping the Alberta Golden Bears 3-0 in the TELUS 2018 USPORTS Men’s Volleyball Championship bronze medal game on Sunday. 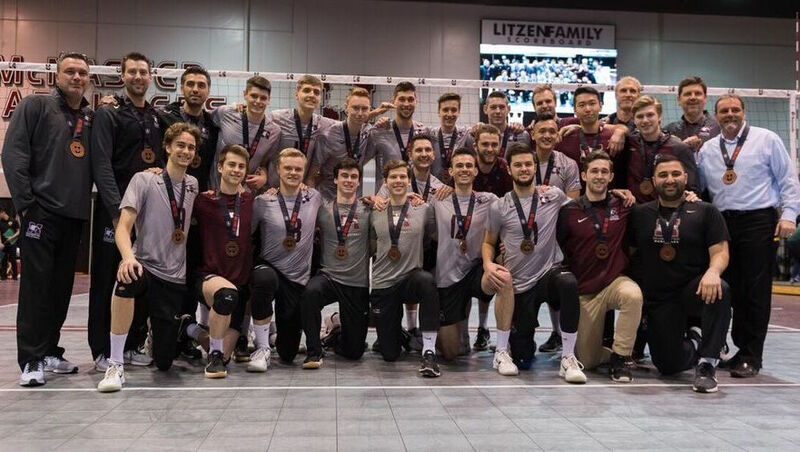 McMaster dominated play, rolling to set wins of 25-14, 25-16 and 25-22 to finish as the bronze medalists on their home court, rebounding from a heartbreaking four-set defeat to the Trinity Western Spartans in Saturday’s semi final. “I think we did a lot over the last 18 hours to right the ship,” said Preston. “We were exceptionally disappointed with last night’s result, especially with our opportunities to turn it around. I thought our leadership council and our entire team did a great job to re-focus. Matt Passalent rebounded from earlier tournament struggles and claimed Player of the Match honours with a 16 point effort. He dominated the Golden Bears posting 12 kills coming from the middle position. He also had three service aces and two blocks. Alberta coach Brock Davidiuk argued that his team struggled to adapt Sunday to a team they had not played previously in 2017-18. “I don’t know that we ever really got our bearings in that match, and we didn’t do a good job of adapting to a team we hadn’t seen before,” said Davidiuk. “That’s what’s it’s about: playing good volleyball in an unfamiliar spot. 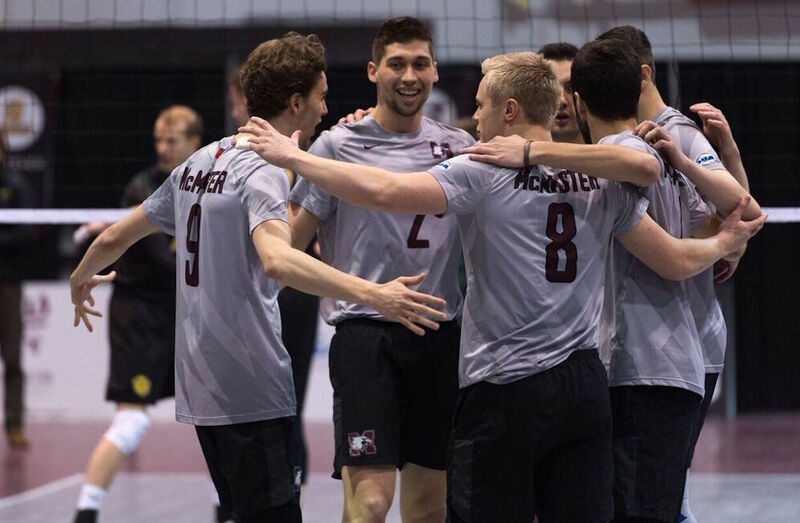 McMaster senior Brandon Koppers who will graduate this year and has his eyes on a professional volleyball career in Europe also had 16 points in the win to help lead McMaster to it’s bronze medal finish. 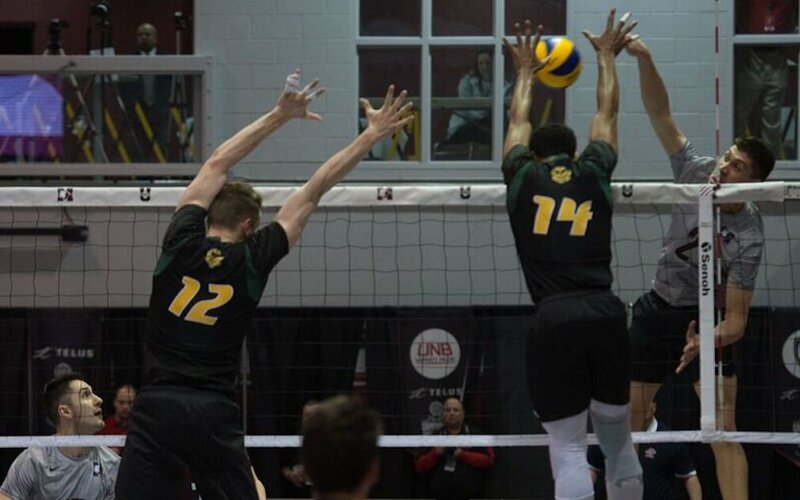 Jumping all over the Canada West runners up in the opening set, the Marauders found top gear and a nine-point lead when Koppers fired a pinpoint shot cross court for 14-5. The lead only swelled from there, until a service run from Alberta’s Taryq Sani brought the Golden Bears back within eight. It was broken when Sani missed a line shot wide to bring up set points at 24-14, and Passalent punished Alberta on the first opportunity, slashing a shot cross court for his sixth kill of the frame. McMaster hit a blistering .682 in the set, winning it without committing an attacking error. 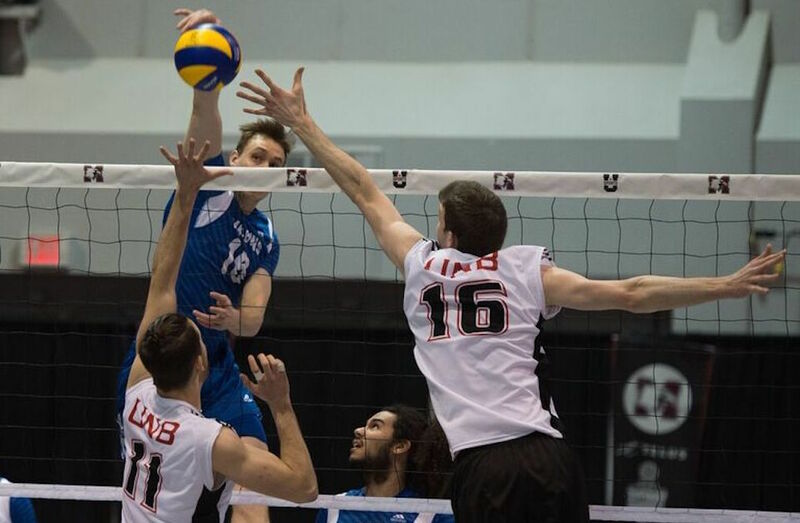 After a tight opening to the second set, in which Alberta began to find their range on offence, the hosts once again turned up their level to create separation. From a dead heat at 7-7, the Marauders won nine of the next 14 points and boasted a 16-11 lead at the technical timeout after an ace found the back line for Koppers. McMaster sped to the finish line from there, conceding just five more points en route to another comfortable set win, and sealing it on another heavy shot from Passalent for 25-16. A 6-1 run to open the third set from the Marauders spelled trouble for the Bears, and the Marauders parlayed it into a 16-10 lead at the technical timeout, after another heavy kill from Passalent. There was no magic to be had for the Bears, as McMaster stayed on task and saw out the convincing sweep with a kill from Richards. In their six medal run, the Marauders have collected four bronze medals and two silver medals. Overall the Marauders have appeared in the finals 16 times.